Intel revealed a series of new and very fast SSDs. 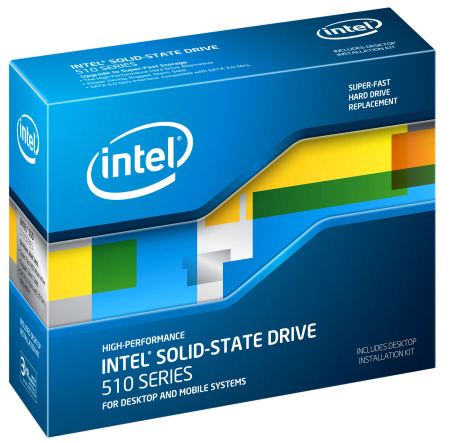 The new 510 series feature a 6Gbps SATA interface which outperforms 10,000 RPM HDDs by 50% for fast performance and takes advantage of Intel's recently introduced 2nd generation Intel Core processor-based platforms. Intel's new SSD 510 series have data transfer speeds of up to 500MB per second and up to 315MB per second for reading and writing. The drives are available now in 250GB and 120GB capacities for $584 and $284 respectively.